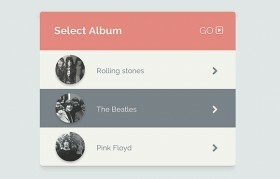 Here is a CSS snippet to create an awesome select album widget. Created by WBgate. 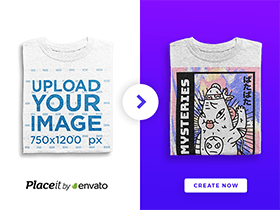 Today’s freebie on dribbble is a minimal Pinterest widget. This free PSD has been designed by Mani. Flat style is a trend right now. 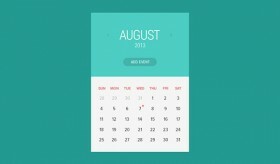 Today we want to report you a simple calendar widget created and released by Justin Nurse. 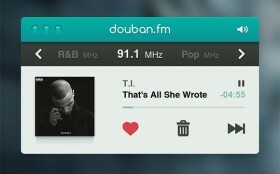 Douban.fm is a cool radio player widget with some basic clean controls. Free PSD designed by Celegorm. Minimal and modern Facebook UI widget with a badge, a dropdown button, a search field and some other buttons. Free PSD designed by Geldy. 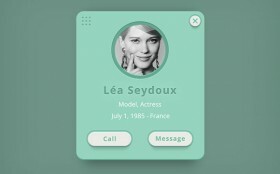 Free PSD reminder widget for never missing an appointment! Designed by Tiberiu Neamu.